Held on 20 March every year, the World Storytelling Day is a worldwide celebration of the art of oral storytelling. In Singapore, it is championed by MoonShadow Stories, and supported by other organisations such as the Association of MBAs (AMBA). of “Strong Women”, exploring topics such as femininity, duality and the role of gender. MoonShadow Stories presented six lesser-known stories based on several unconventional women from Greek, Indian and Chinese mythology. 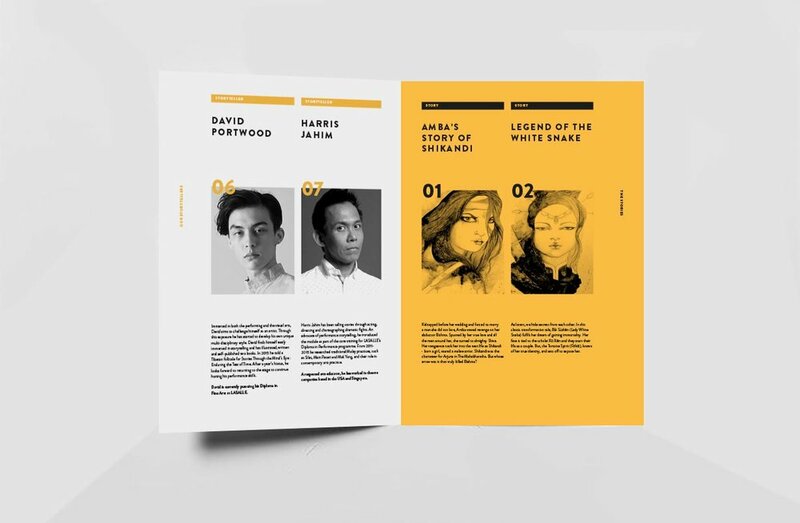 We wanted the key visual to retain the traditional essence of oral storytelling, but remain relatable and contemporary to the multicultural and multiracial demographic of Singapore. Though the tales are ancient, they are still relevant in today’s world where we continue to grapple with gender definitions.